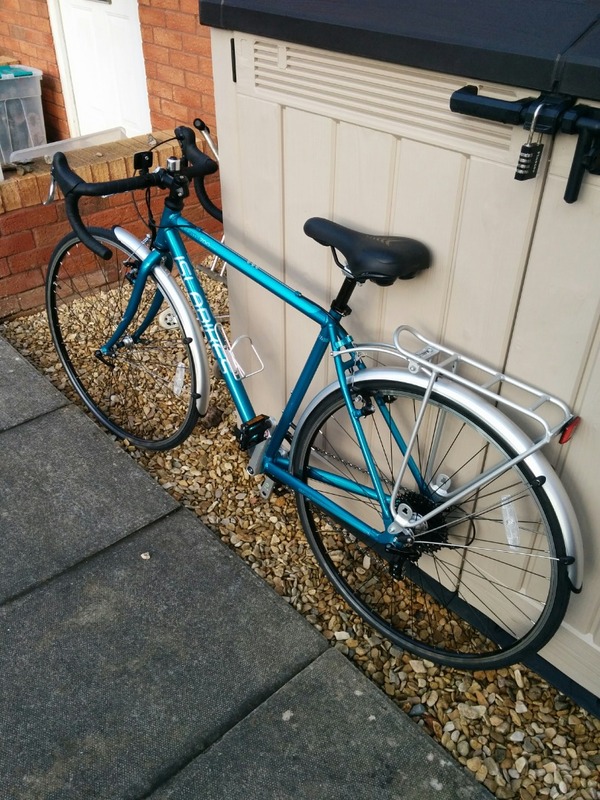 Blue commuter bicycle with drop handle bars, mud guards, rear pannier rack, gel saddle and detachable front & rear lights. In good working order. Bicycle was locked to a bike rack within a gated car park at the office, where I was working. It was stolen during office hours, by thief cutting through bicycle lock.